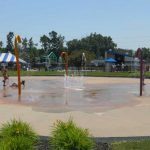 Red Oaks Waterpark is a fun summer destination to take your family while being conveniently located just east of I-75 in Madison Heights. 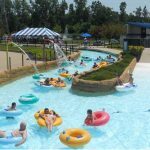 From the giant triple waterslide, to the relaxing lazy river and wave pool, Red Oaks offers plenty of options to keep you entertained the entire day. 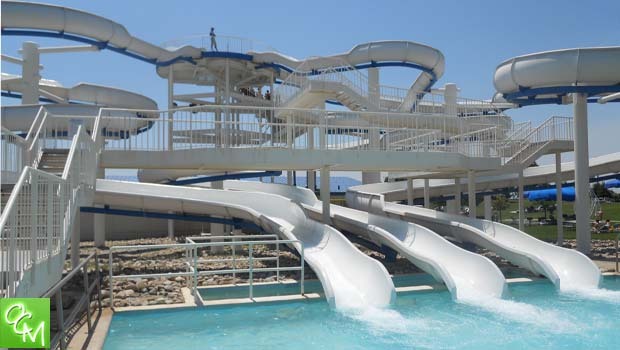 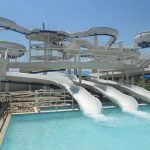 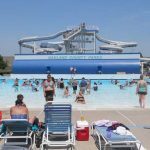 As you enter Red Oaks Waterpark in Madison Heights, you will notice the huge wave-action pool and giant triple waterslide directly in front of you. 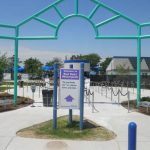 You can easily access each of these attractions as you check out a locker directly to your left as you come through the entrance. 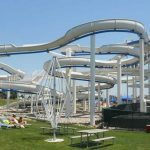 To your right is an access area to the roughly 10-minute lazy river ride, and there is also a bridge that will take you over to the children’s section of the park. 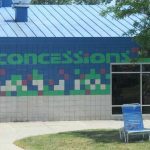 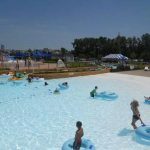 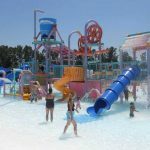 See related articles below for pics and photos of Red Oaks Waterpark at Waterford Oaks and our Parks Directory for reviews and photos of Metro Detroit and Oakland County, Michigan parks. 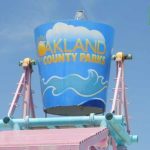 The main attraction in the children’s section of Red Oaks Waterpark is the massive bucket that sits atop Red Oaks Waterpark’s water playground. 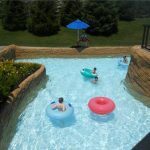 This bucket fills up and you will often notice how exciting it is for a group of children to sit in the pool to wait for the giant bucket to pour down. 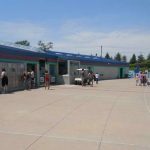 Plenty of lockers are available throughout Red Oaks Waterpark and the facilities are well-maintained and clean. 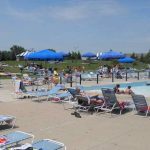 When planning a trip to Red Oaks be sure to set aside a few hours of your time as it appears to be an extremely popular venue that will be highly populated even on weekdays. 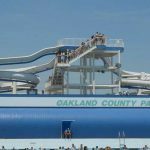 See related posts below for more Oakland County and Metro Detroit, Michigan waterparks. 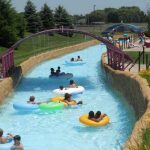 For more info on this Red Oaks Waterpark Review, visit OaklandCountyParks.com.